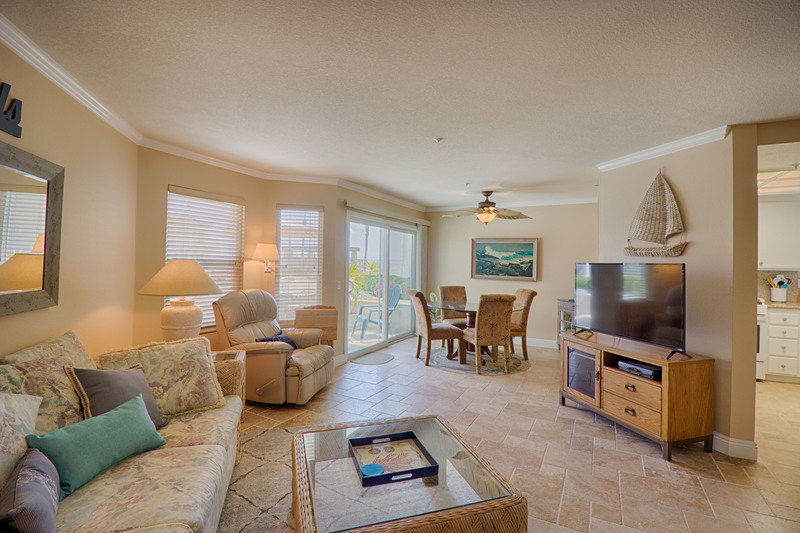 Live the beach life in this beauty by the sea @ San Miguel 1! 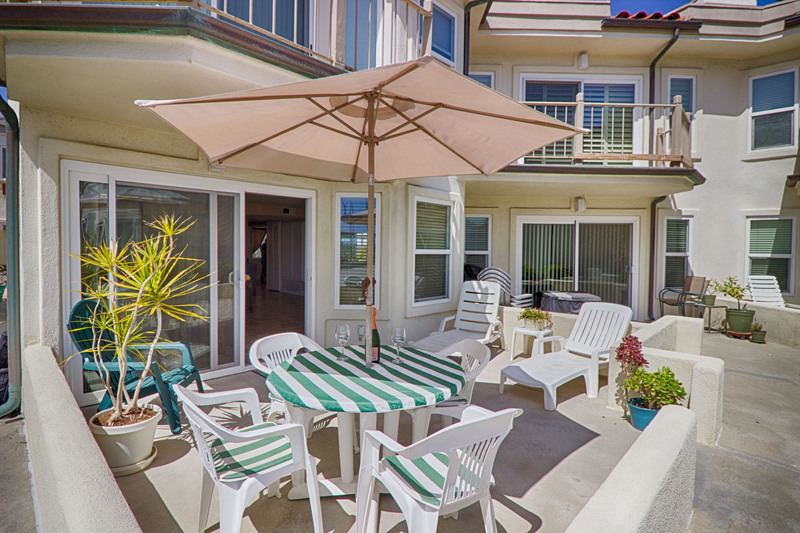 Enjoy beautiful Ocean & Pier views from right inside your living area, spacious patio, & all just a few Steps to the sand! Single-level (no stairs to entry), first floor location, and southerly facing. 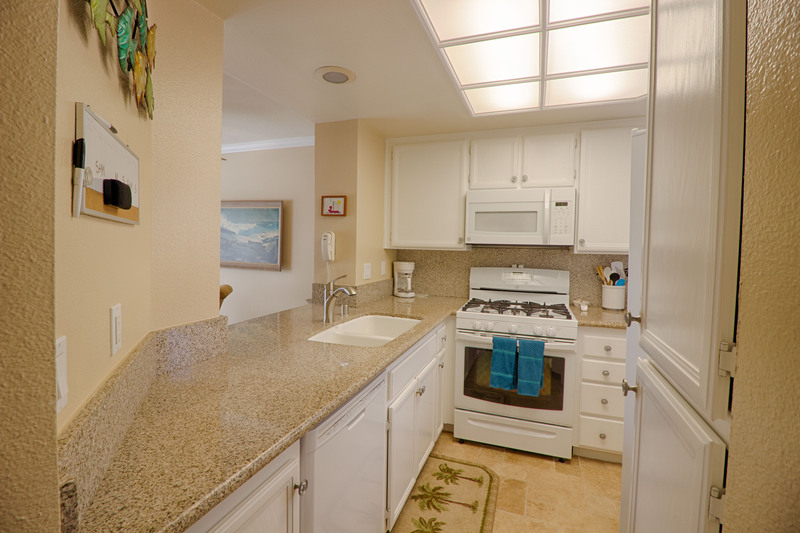 Defines elite coastal living with luxury upgrades such as remodeled kitchen, travertine tile floor, upgraded bathrooms, cozy fireplace, & more. 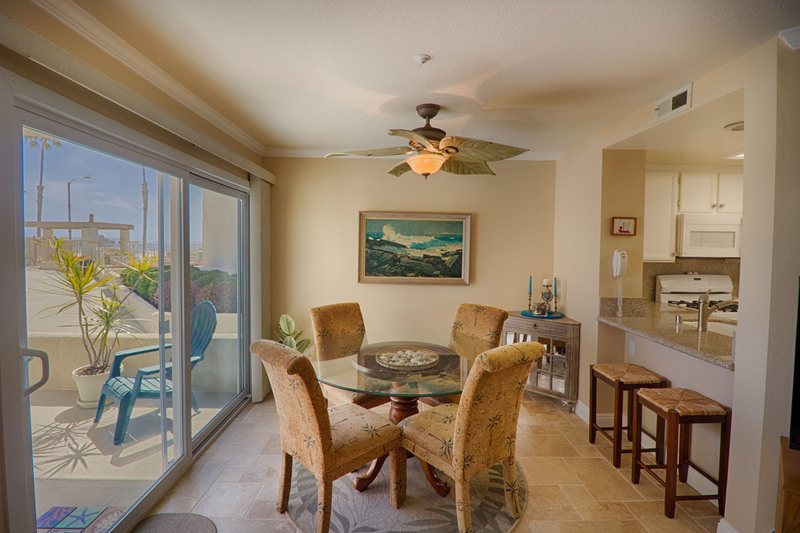 Premium location of San Miguel I located right on The Strand & STEPS to the Sand. 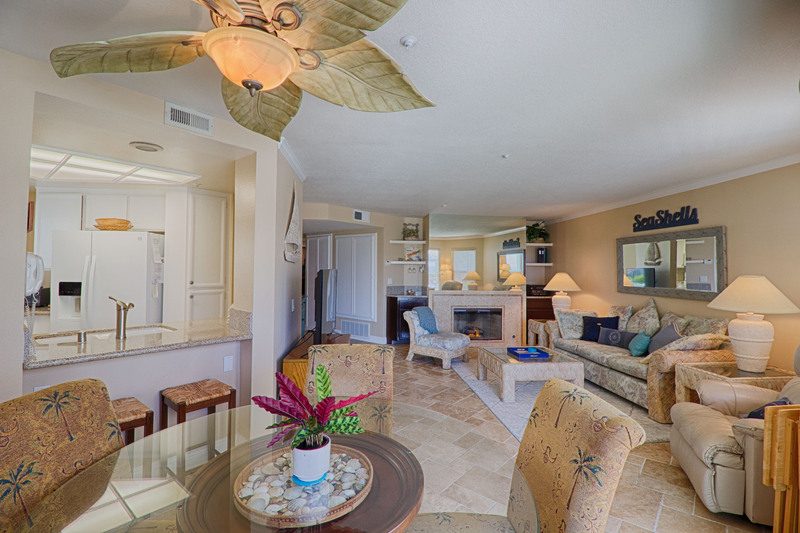 Enjoy 2 community jacuzzi’s while taking in the view of the Pier, Ocean, Sunsets, Surf, & Sand! 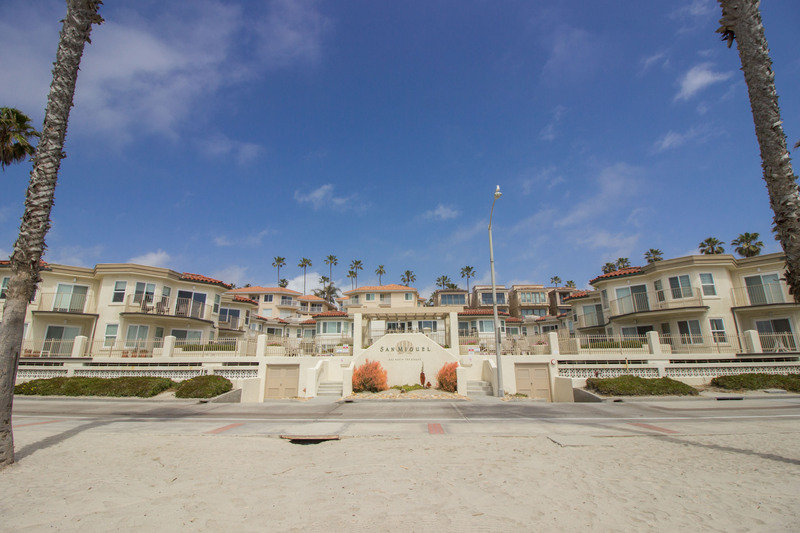 Can’t beat the Southern California lifestyle! 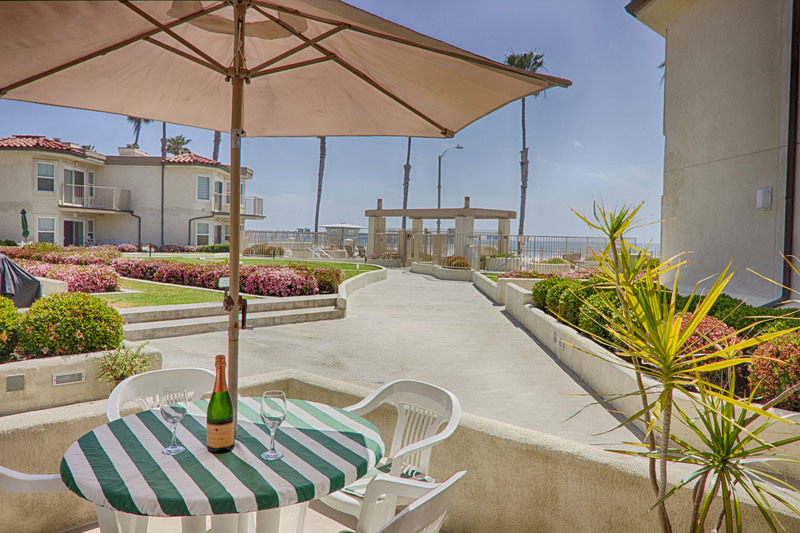 Walking distance to Restaurants, Pier, Bike Trails & Harbor. 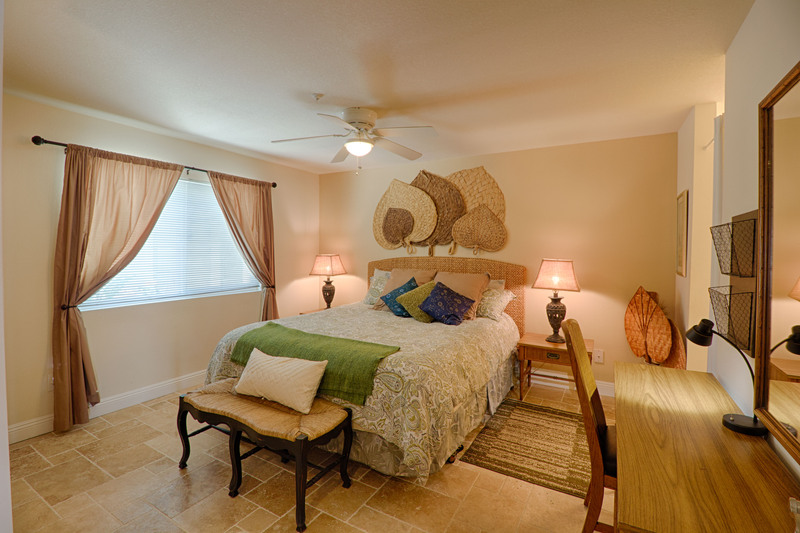 Look no further, Paradise Found! You can even fish on the Pier! 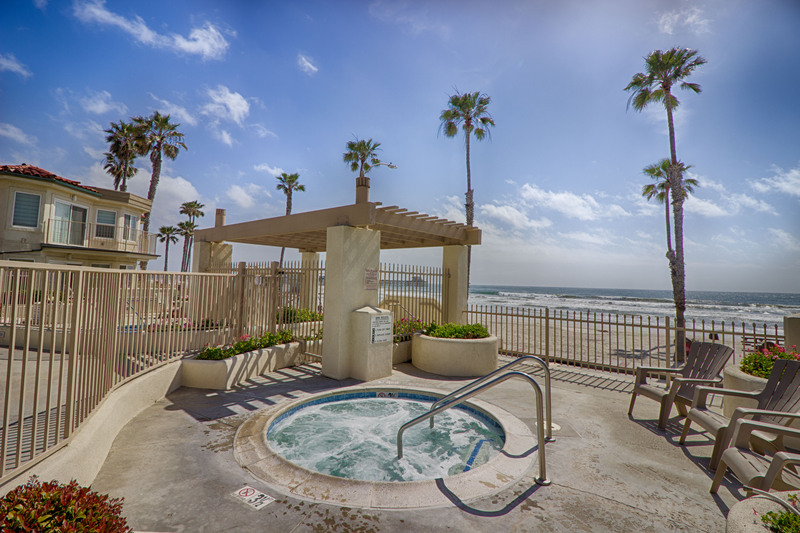 Oceanside is beach city perfectly nestled between San Diego & Orange County, ideal location for destinations of either direction all while enjoying the beautiful Southern California beaches. 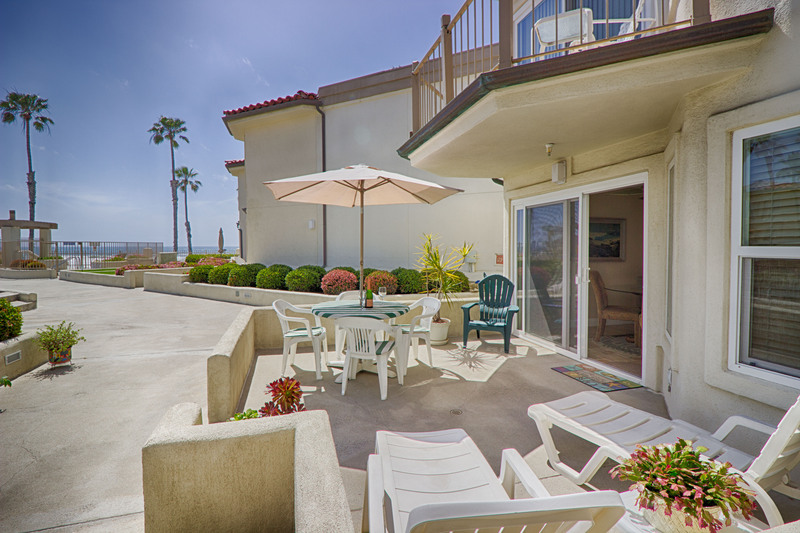 Just a short walk to the train which will take you to Orange County, LA, or San Diego. 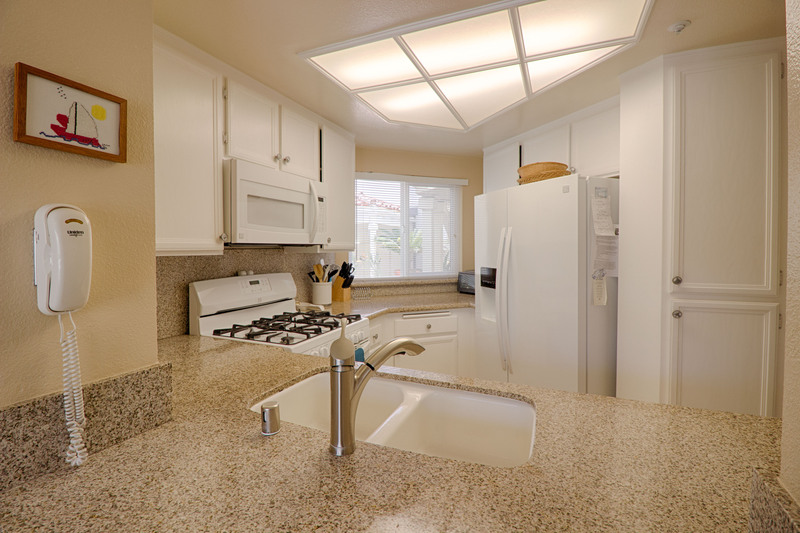 Great for commuters or visiting family locally if you don’t want the access of freeways. 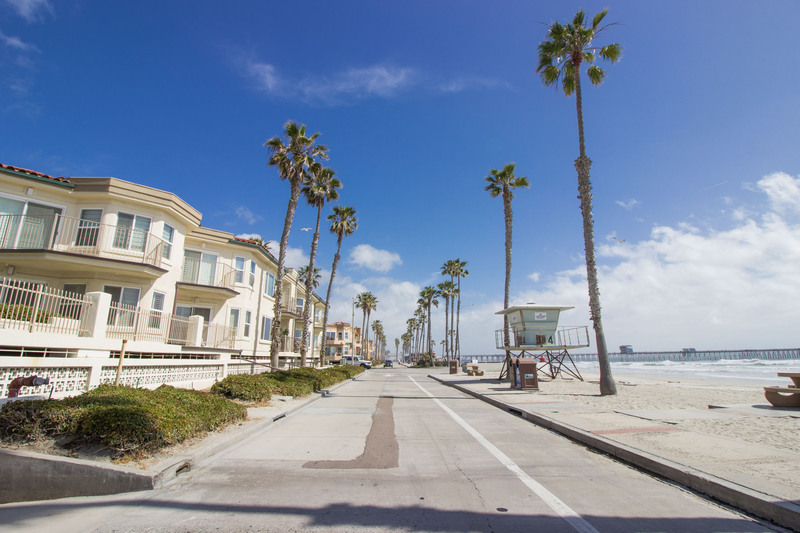 Just a stroll to downtown shops, museums, Star & Brooks Theater, Library, Movie’s, weekly Farmer’s markets, local breweries, and fun events at the beach.